Avoid costly power outages by having an Uninterruptible Power Supply to provide seamless transition between mains power failure and a battery backup as well as surge suppression, line noise filtering and voltage regulation - It's the best way to safeguard your equipment. Power failures resulting in network downtime can cost businesses substantial sums in revenue; in addition, data lost during those failures is often not recoverable. UPS Systems instantly respond to power outages and can support equipment until mains power is available or a generator is active. Ecl-ips provides a large range of UPS systems from 400VA to 1.6 MegaWatts. These systems can be designed for specific needs or provided quickly in an emergency situation. Single PCs, servers and communication rooms would benefit from rack mounted or tower UPS systems. 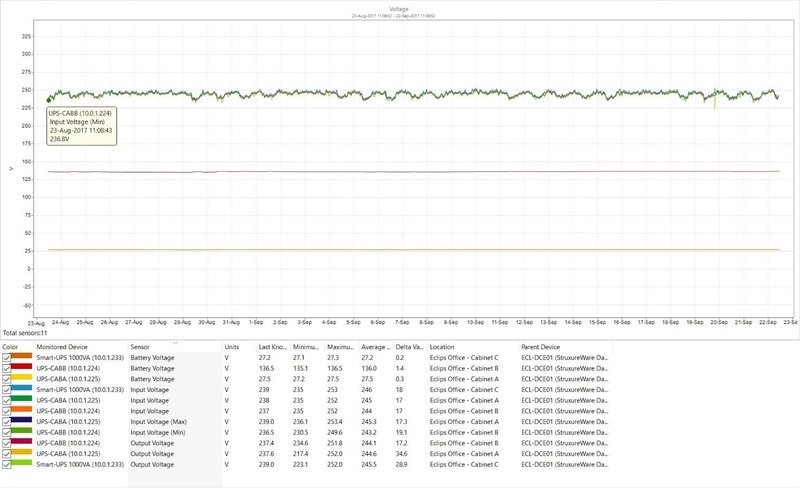 In large data centres we can provide room based UPS systems complete with power monitoring and control. 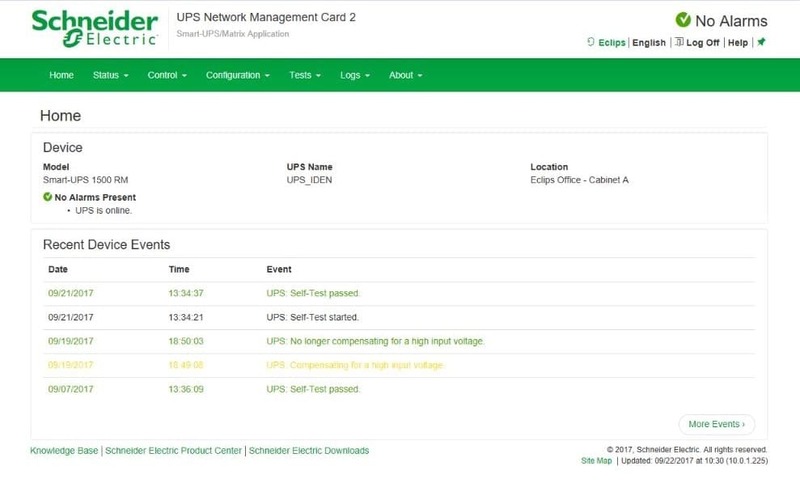 We recommend wherever possible that your UPS is monitored, this can be done locally or remotely. Alerts can be sent to inform you of events or when a battery change is due to help you maintain the resilience that you require. In addition to this there are also various software packages that can automatically shut down servers in the event of a power outage. Blackout: Also called a power outage, power cut, a power blackout, power failure is a short-term or a long term loss of the electric power to a particular area. There are many causes of power failures in an electricity network. Brownout: This happens when there is an overload of electrical circuits. If you have a lot of electrical equipment connected and in use at the same time, this can trigger a brownout resulting in a loss of power. The issue usually lasts for a short period, but it can cause damage to your device. Noise: Commonly caused by interference from lightning and generators; resulting in unclean power going to your devices. It can cause the operating system and applications to malfunction and possibly corrupt files. Power Surge: Power surges occur when the flow of electricity is interrupted, then started again, or when something sends electricity flowing back into the system. Surges can range from five or ten volts when you turn on your hair dryer to thousands of volts if lightning strikes a transformer. A UPS is one of the most important investments you can make. Not only does it protect your hardware but prevents data loss; increasing user productivity. When the electrical current going to your device is not steady, it can have costly consequences for your business. 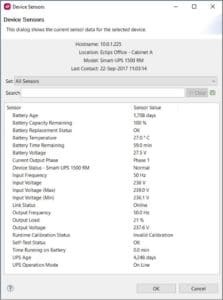 Most UPS devices have the capability to house network cards that can report on information that is relevant to the integrity of the system, such as battery condition, run-time remaining, load levels, input voltage etc. In addition to this, environmental parameters such as room temperature and humidity can also be measured and reported on. Why do you need to monitor a UPS? Some of the larger server manufacturers now recommend the use of a UPS as part of their warranty stipulations. Can you afford not to be protected? 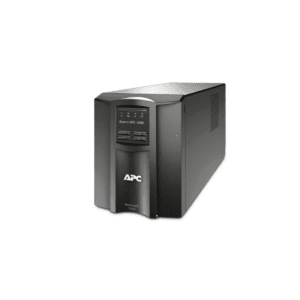 If you require further information or a UPS Calculator please visit APC UPS Systems or alternatively you can purchase APC UPS Systems via our shop. To discuss your UPS requirements and to ensure we provide the right solution for you please contact us.